if you missed fashion watch last week, view it here! photos are terrible because the models walk too damn fast. i wish they would slow down just a little bit. never mind me, but what about those people who paid to sit and have a cocktail and WATCH a fashion show? did they get their money's worth? the models just stomped by and before you could even get a good look at the outfit, she was gone. zoom! there was no elegance. i mean, this is not a regular fashion show meant for fashion editors and press people, who are used to thinking fast and scribbling even faster. this is a salon-style fashion show, which is more for entertainment and for potential buyers, who are invited by the designers to see their latest collections. but that's just me. 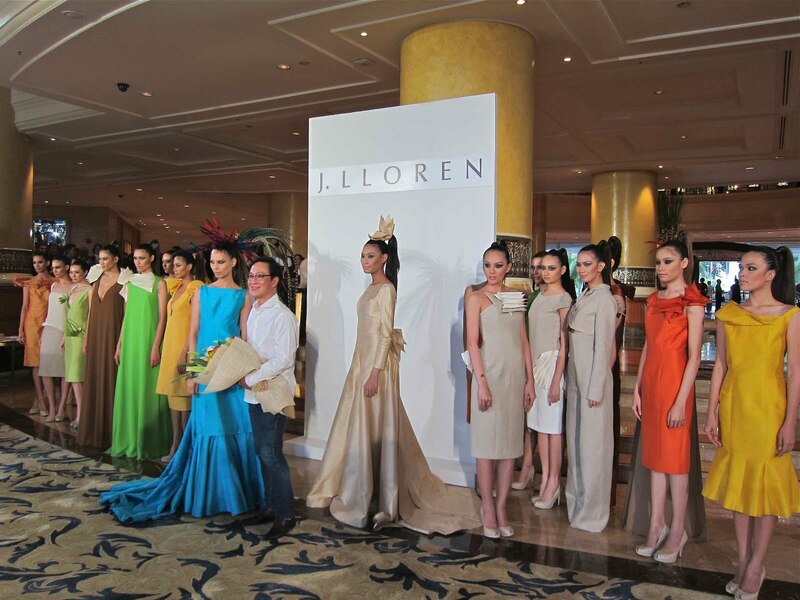 jojie lloren was inspired by the colors of exotic birds like parrots, parakeets, and macaws. full of tropical colors like green, orange, yellow, and turquoise. grace and ria opened and closed the show, respectively, with fabulous feathers on their heads, looking like beautiful birds! 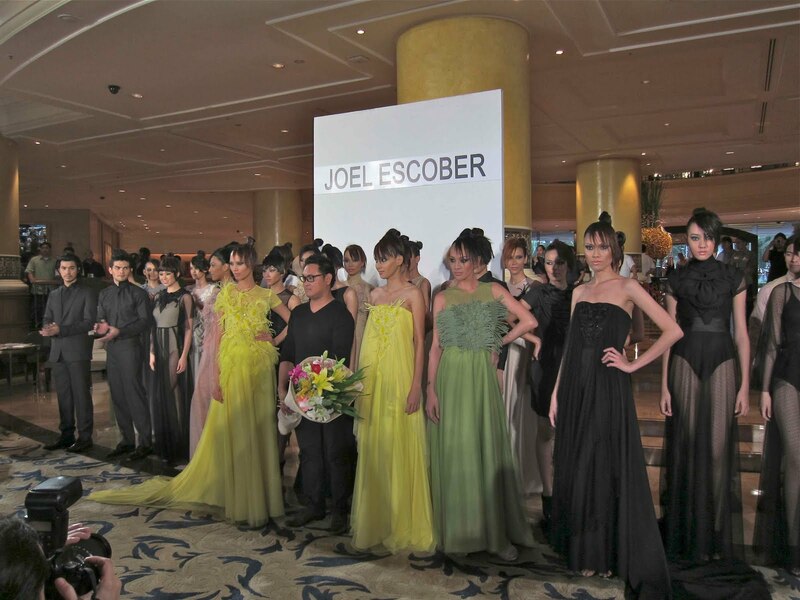 joel escober is known for the 3D fabric treatments and embellishments on his clothes, which were present in this collection of streamlined silhouettes in neutral colors. the 3D effect gave the otherwise simple designs character and texture. i especially loved the long black dress, which reminded me a bit of patrice diaz's collection last season made of scraps of black T-shirt material.